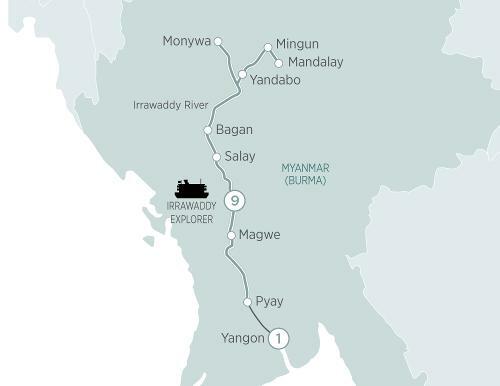 Please note: The Irrawaddy River is subject to extreme variations in water levels. Every effort is made to provide the routing and inclusions stated however depending on water levels prevalent at the time of sailing, this itinerary may be amended. The Irrawaddy River is subject to extreme variations in water levels. Every effort is made to provide the routing and inclusions stated however depending on water levels prevalent at the time of sailing, this itinerary may be amended.